Want to study subjects such as feminist theology and the religious left? 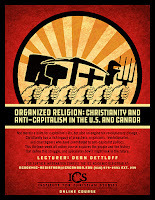 Contact Elizabet Aras, Academic Registrar, to register for ICS courses. You can find course descriptions for Winter 2019 courses here. Scroll down on this page to view the course schedule. Click on images to enlarge posters. Clarence Joldersma, Professor of Education at Calvin College, has published an extended review of Religion, Truth, and Social Transformation (McGill-Queen’s University Press, 2016) and Art, Education, and Cultural Renewal (McGill-Queen’s UP, 2017), Lambert Zuidervaart’s recent volumes of essays in reformational philosophy. Clarence shows that Lambert’s work takes what Bob Sweetman’s Tracing the Lines (Wipf & Stock, 2016) calls the “holistic” approach to how faith relates to education and scholarship. He concludes: “Anyone interested not only in the reformational tradition, but also in seeing an excellent example of a holistic approach to Christian scholarship in action, would do well to look at these volumes. In the process, they would also come away with a thoughtful … critique of … contemporary society.” For the complete review, see Clarence Joldersma, “Essays in Reformational Philosophy—An Extended Review,” Christian Scholar’s Review 48, no. 1 (Fall 2018): 69-75. Now faith is the assurance of things hoped for, the conviction of things not seen…. So that what is seen was made from things that are not visible. Advent is a time of waiting and preparing for the coming of the Christ-child; a time of newness, of looking forward with hope, and of trying to make space to welcome (again) Christ into hearts. In terms of using the liturgical calendar as a way to experience various forms of spiritual disciplines, Advent also stands in a place of “not yet understanding,” of “not yet knowing,” of mystery. Of course we “know” that Christmas is coming. We know that we will celebrate the birth of Christ, and we already have the stories of his life. We know the adult before meeting the baby. The gift that Advent brings us, however, is a chance to practice, to some extent “not knowing” -- to practice a sense of hope and wonder, and fitful, even nervous, preparation for the birth of a long-awaited child. It is a time to prepare ourselves for a new year, where, when we start out by standing in a place of “not knowing” and mystery, we open ourselves to learning more about the Word we hear. In opening ourselves to really contemplating the mystery of the Incarnation, Advent becomes a time of listening and discovery along with its preparations of joy and wonder. From Bob Sweetman’s book Changing to Stay the Same, Advent. On Saturday, December 1st, ICS hosted its 2018 Open House and Advent Concert. This evening of music, food, and fellowship was an opportunity for the larger ICS community to come together at our new location. We pray in thanksgiving for the success of this gathering and, in a special way, for the numerous ICS supporters and friends that visited us from far and wide.. Please take the opportunity this week to give thanks for our Board of Trustees as they continue to serve in their oversight of the mission and vision of ICS. Please pray for John Kamphof who takes over for John Valk as Chair, and for John Joosse as he takes on the position of Vice Chair. We give thanks for John Valk and his faithful service to ICS over his two terms on the Board. 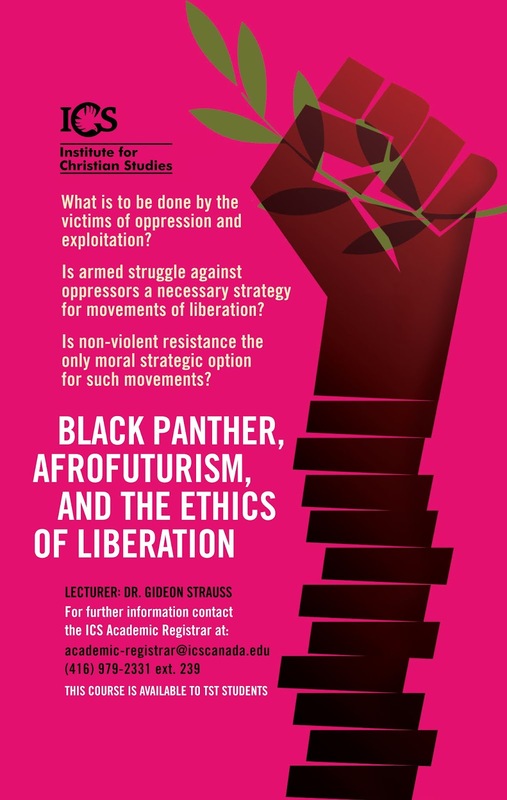 On December 6th, ICS/CPRSE will host Dr. Esther Acolatse, Associate Professor of Pastoral Theology and Intercultural Studies at Knox College, for the Fall Term Scripture, Faith, and Scholarship seminar. Please pray that this event will be a time of fruitful exchange and reflection on the intersection of biblical scholarship and a life of faith. As we begin this month which celebrates Christmas by the giving and receiving of gifts, we thank God for our committed and faithful friends for their gifts to us of prayer and financial support. We pray each one of you will receive the amazing gifts of love, joy and peace this Christmas season and are filled with hope with what God will do in the future. Please pray this week for students joining us at ICS in the next term. 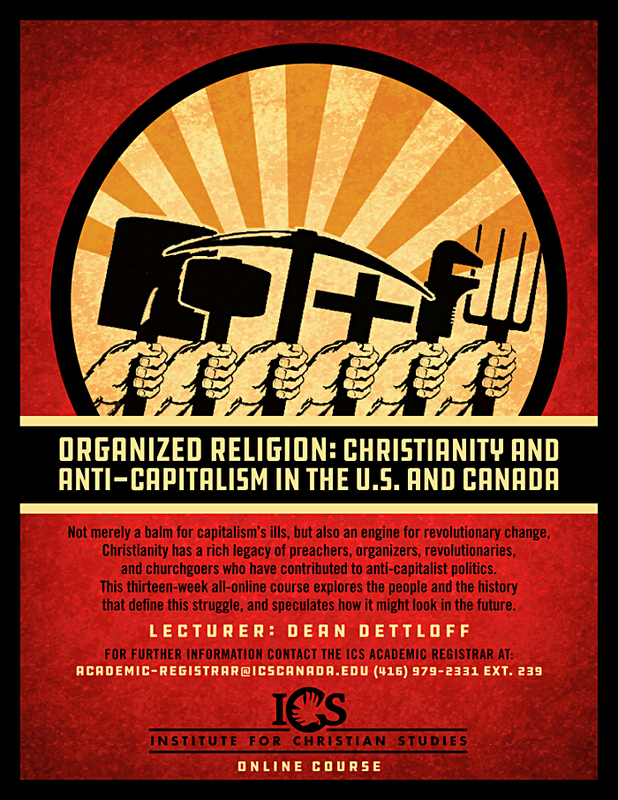 In particular, we ask for your prayers for those students planning to take our new MWS online course, Organized Religion, Christianity & Capitalism in Canada and the US, and for ICS PhD Candidate, Dean Dettloff who will be teaching the course. ICS/CPRSE is an active member of the Canadian Interfaith Conversation (CIC), Canada’s premier inter-religious dialogue network. In the context of this partnership, CPRSE has been actively involved in the establishment of the Canadian Interfaith Research Centre for Learning and Engagement (CIRCLE), a project seeking to become a leading voice in interfaith research in Canada. Please pray for the continued success of this important collaboration. Thursday this week is the final day of classes for the fall semester at ICS. As is our custom, on Friday evening we will share in a time of fun, fellowship and good food at our annual Christmas Party. We give thanks for and celebrate the gifts we have in one another in this blessed community of learning in our new home. We pray for continued stamina and enthusiasm for our Senior and Junior Members who are preparing to start their new courses in January. We pray especially for Gideon Strauss as he finds rhythm and creative energy in his new administrative role as Academic Dean. Please pray this week for PhD Candidate Dean Dettloff as he prepares for the defense of his thesis entitled: Christwreck: Christianity and Design on Wednesday, December 18th. Pray also for Ron Kuipers, Dean’s mentor, and the other examiners as they interact with Dean that the time will be fruitful and inspiring. Please pray today for the families of our staff, faculty and students as they spend time together at this special Christmas season. Some of our families are spread far and wide so we ask God for his protective hand on those who will be traveling. Pray too for those who cannot be with their loved ones because of distance or health reasons that they will be blessed by their local community while being apart from their families. May the blessings of love, joy and peace be yours as we celebrate the birth of our Lord and Saviour this Christmas week. As 2018 draws to a close, we give thanks for another fruitful year of work at ICS and for all our supporters and friends who made that work possible through their prayers and financial gifts. We especially give thanks to God for the strength, grace and wisdom he gave in the renovation process and move to our new home at 59 St. George Street. We pray for God's blessing upon our staff, faculty, and students as we work out our mission, in the classroom and beyond, throughout this next year.